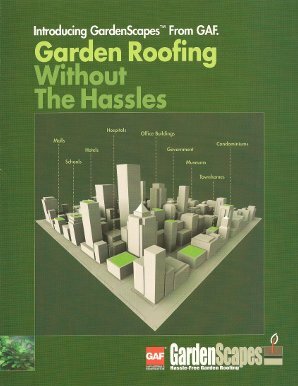 Tax Incentives…Federal as well as many state and local governments have enacted tax benefits for garden-type roofs. Garden roofs can have up to 8 different components (not including the roofing membranes), that can be time-consuming and difficult to install. If installed improperly, the result can be poor performance or even system failure. Most garden roof suppliers utilize different installers (roofing contractors, landscapers, etc) which can lead to longer installation time and business interruption for you. If you have a problem, who do you turn to? The roof manufacturer? The plant supplier? The contractor(s)? Will they even be in business in a few years (much less 20 years or more from now)?